A snow day is a perfect family movie day. My family and I used the snow day as an opportunity to snuggle up for a movie the kids have been talking about, one I had never heard of: Disney’s Descendants. The movie came out in July of 2015 and stars actors kids will recognize from the Disney Channel. It’s the story of the children of the evil villains from four classic Disney movies—Maleficent from Sleeping Beauty, the Evil Queen from Snow White, Jafar from Aladdin, and Cruella de Vil from 101 Dalmatians. The children are in training to become as evil as their parents as they come of age on an isolated land segregated from the rest of the Disney world. My kids loved the music and seeing the lives the princesses were living in their happily ever after, but I was fascinated by one main theme as I watched it play out in the movie: the struggle for identity. In the case of Maleficent’s daughter, the struggle is “never being as evil as my mother.” Mal begins her journey wanting to please her mother. She entices her friends to embark on an adventure by telling them, “This is our chance to once and for all prove ourselves to our parents.” But, as those who have done the difficult work of separating from entangled relationships have learned, it is impossible to ever prove ourselves to our parents. When we try to do this, we are fighting an unwinnable battle. 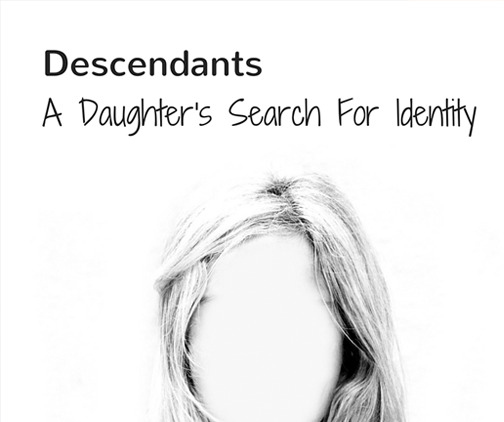 I enjoyed this movie, and I believe daughters everywhere can relate to the struggle to figure out who we are and who we are not. We are not our mothers. We may find pieces of our mothers in us, but we get to choose how we use those experiences to shape us. That’s for people who have evil mothers. I would love to be like my mother and was lucky that God didn’t give me an evil mother. I will never have a relationship like that again. My only hope is that in the next life, she is the same loving mother to me as she was in this life. Monee, thank you for commenting on my blog. I am so sorry for your loss. It sounds like you were richly blessed with a loving, nurturing mother. The loss of that relationship in this lifetime must be difficult to bear, and I hope you have a strong support system to walk with you through your difficult days. Sadly, there are many women who did not receive the loving, nurturing mothers they needed, and often it is not because their mothers are/were evil but because they were struggling with a mental illness, addiction, or brokenness which made them emotionally (and sometimes physically) unavailable for their daughters. Motherless Daughters Ministry exists to support women who have suffered the loss of their mothers through whichever way that loss has occurred. We are finding that those who mourn receive and provide comfort as they connect with others who can relate to their experience. Are you a part of a community like this? I’d love to hear more of your story if you’d like to share it. You can email me through this website. I loved what you said about how we try so hard to be our parents until we realize we must find ourselves. Sometimes it is a life-long journey resulting in discovery and sometimes we never get there. I have seen both.